Language breakthrough! 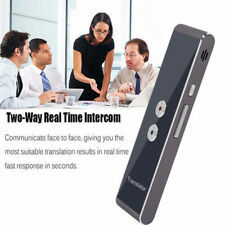 Support 16 languages, spike the market in English translation machine, with App use, more features! 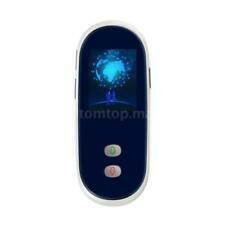 Bluetooth Standard: Bluetooth V4.1. Note: not just pure Chinese to other languages, other languages ​​can also translate each other. THIS UNIT IS IN NICE SHAPE BUT NEEDS NEW BATTERIES. The back of the box shows 4 dictionaries ~ Chinese/English, Longman Dictionary of Contemporary Englis English-Chinese, Deutsch-Chinesisch, Das Neue Deutsch-Chinesische. 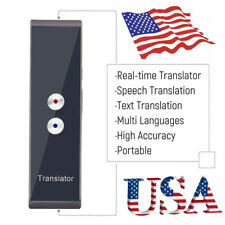 6 languages translator: English, French, German, Spanish, Italian, Dutch. I tried my best to translate from the box. Franklin SCD-1890 Mirriam-Webster Collegiate Speaking Dictionary Handheld with original Case and Instructions. The Dictionary is in good, clean condition and all buttons and audio function well. Batteries are Not included. 4 out of 5 stars - Franklin Merriam-Webster Collegiate Dictionary SCD-1890 Speaking TESTED! 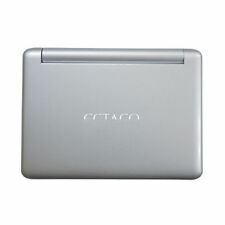 1 product rating1 product ratings - Franklin Merriam-Webster Collegiate Dictionary SCD-1890 Speaking TESTED! 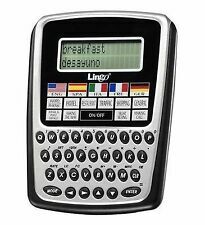 QUERTY keyboard. Condition: In good working condition; Case has no dings except for minor scuffing from use; Interior keyboard/screen is clean and unmarked; Manual very good with no marks, creases. 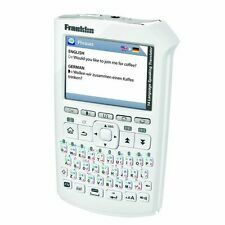 unopened Franklin translator 5 language Model: TWE-118 A Spanish French etc..
Franklin translator 5 language. Model: TWE-118 A. All the words in 2 languages. 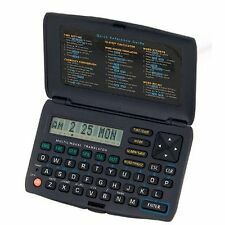 Electronic Dictionary Bookmark. English - German. 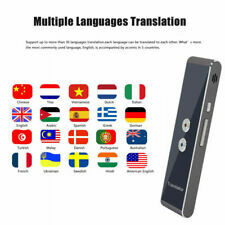 Boasting eleven languages, this is Franklin's handiest translator yet! With English, German, French, Italian, Spanish, Portuguese, Dutch, Russian, Polish, Czech and Hungarian words in its database, you can obtain more than 400,000 translations and 11,000 phrases instantly.